Overdose is Russian Doomer Lainos's attempt to make Sacrament's infamous MAP02 palatable to a broader variety of Doomers. Spoilers: If you dislike the original because it was enormous and wide open, offering little direction to the player, Overdose won't take you any higher. If you gave up because he effectively disabled the automap, though, you can rest easy. Like the original, the map is made for limit-removing ports. 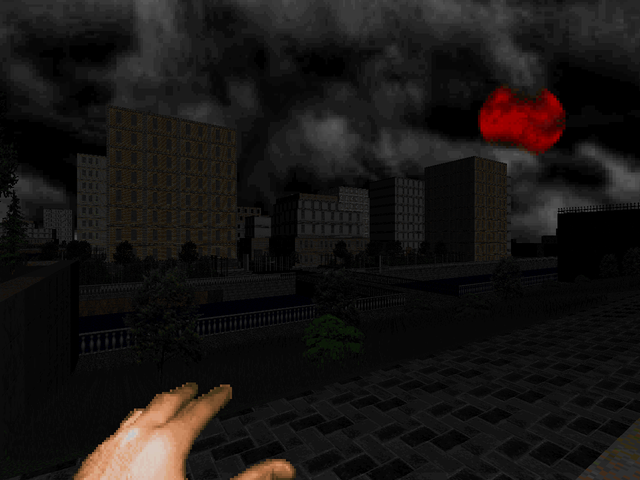 PrBoom+ is the recommended engine, especially given the sprite-intensive city landscape. The story takes place after the action of Sacrament (hinted at by the blood red moon). The protagonist awakes after overdosing in a museum (more like a private art gallery) and finds the apocalypse in full swing, with the twisted bodies of the unworthy clamoring for your blood. 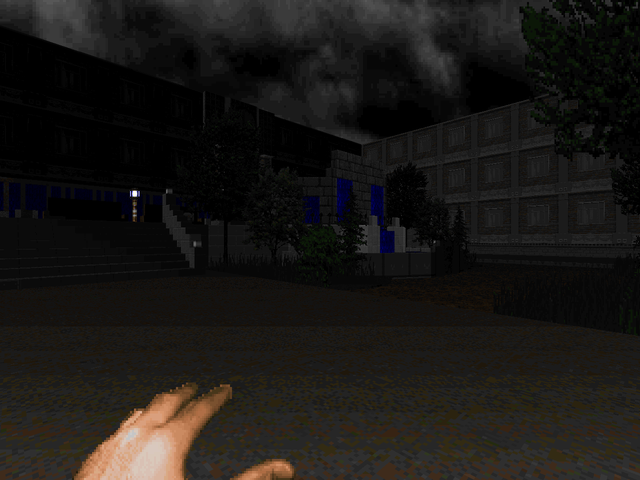 You grab a shotgun and attempt to find your way out of the accursed city. For those who haven't played the original, the city is immense with carefully arranged lamps lighting it up, a few visitable buildings, and plenty of streets and alleyways. Most of the architecture is internally consistent, with a great host of textures to illustrate his urban jungle. There's a lot of ground to cover, and apart from the already mentioned locales, you'll find a large city park, a small grocery store, several apartment blocks, a few buildings whose purposes are unclear, and a beautiful fountain in the northern section. The most numerous smaller decorations include dumpsters, benches, and a few terraces. Lainos made some major expansions to his city, chiefly the western section. There's a bridge leading to a neighborhood across the river as well as a gorgeous riverfront walk and a railroad terminal (the map's exit, leading to a small buffer map with a neat effect). Lainos has also blocked access to the two areas most relevant to the map's previous incarnation, the apartment and Clan [B0S]'s base. They remain intact, however, which leads to my major nitpick with his remodeling. 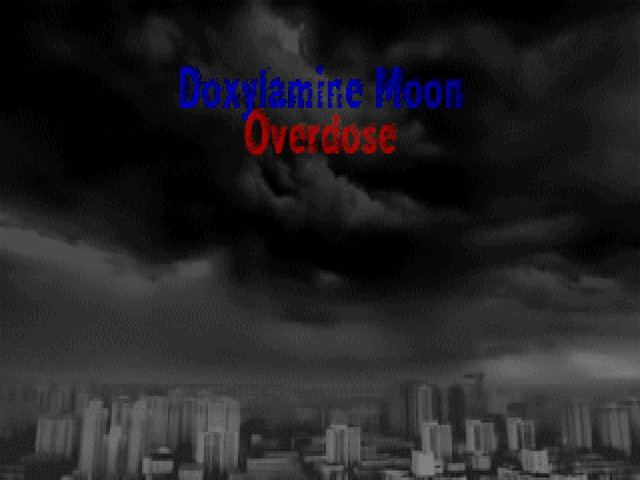 Doxylamine Moon: Overdose is a map about exploratory, slightly sandbox-style gameplay. While he has prevented any entrance to the areas, there are at least three linedefs you can activate in the northern courtyard (which originally led to the Clan base). The biggest oversight is the presence of the blue key switch, which only serves as a red herring that frustrates players. I don't know what I would have done with the existing architecture, though. Maybe leave a key in the Clan [B0S] base that allows entrance to Sacrament's apartment? Maybe not required to exit, but it could be a neat easter egg. The biggest concession made was toward people who found "Doxylamine Moon" boring for lack of opposition, toward the tune of 150 more misbegotten souls to shoot up. Combat is largely incidental, though, compared to traditional Doom gameplay, which is often carefully staged. Monsters that litter the gorgeous city streets awake, often without the player directly seeing them, and slowly make their way to your position. This may not seem dangerous until you realize Lainos's careful balance of terror. The monsters aren't numerous enough for you to be consciously wary but are also in sufficient number and force to be real threats if ignored. 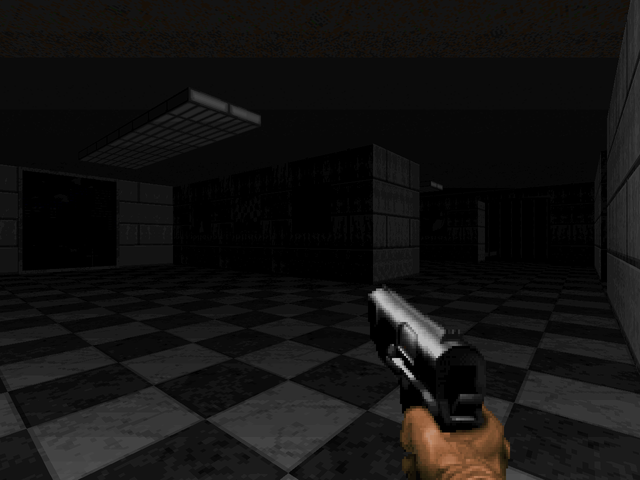 The closest comparison I can make is to some of the original Doom levels (where monsters often roam around the map layouts, surprising the player) except with much more real estate. The advantage is often the player's as there is plenty of room to flee if he or she runs into an encounter without adequate resources. The placement of health and ammo reflect the same style of gameplay. You'll find little bits (with larger caches) spread out, with the most care given to the location of the major weapons. My favorite bit awards the player with the chaingun via a carefully orchestrated commando ambush upon exiting an explored building. It's quite clever. As far as other fights go, only a few come to mind. The whole approach to the yellow key and return constitute the most action-packed segment of the map, with the dense foliage obscuring enemies near and projectiles far as you attempt to take cover. There's also a surprise fight between two pain elementals that can quickly turn lethal if you're lacking munitions and several pairs of revenants that might sneak up on you. Lainos made some changes to "Doxylamine Moon", but Overdose hasn't altered its overall character, save for the addition of more monsters, which turns it from a haunting experience to something more menacing. If you preferred the original, it's not as though he's paved over his contribution to Sacrament. Furthermore, it's refreshing to me to play something that's so unlike Doom's regular gameplay, and I'm looking forward to any more followups in this series. I would recommend Overdose to you if you enjoyed the original, like very non-linear maps, or just want some candy to feast your eyes on. Otherwise, you will be better served looking elsewhere. There are countless other authors who create a more traditional Doom experience, provided you want to chase that demon. Wasn't a huge fan of this remake (sequel?). 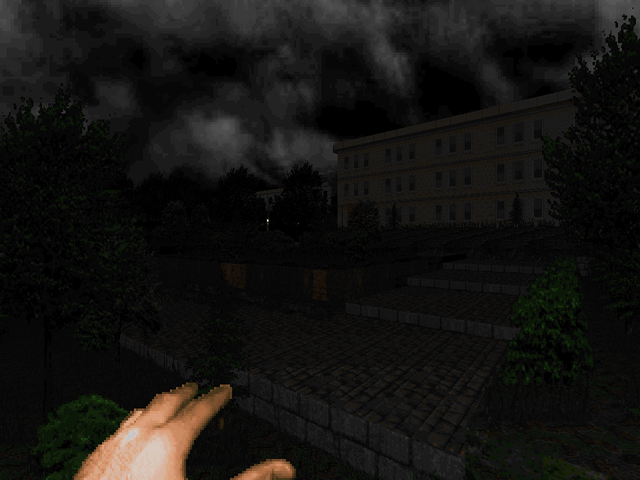 The original is great: it (along with Sacrament's Map01) sets up the tone and story of Sacrament perfectly, and also throws in a sort of subversive send-up of Doom's gameplay mechanics with the pointless yellow key scavenger hunt. This version, I dunno, I felt like the layout and monster placements together didn't make sense to me in gameplay terms (excepting some things like the chaingunner ambush you pointed out) and made for a kind of frustrating experience. The ending felt totally arbitrary to me, and the directionless nature of the map didn't have the same functionality as in Sacrament without leading into anything. Definitely a fine piece of work in terms of craft though, and I love the concept at work, so I do look forward to playing Lainos's other city maps. i think that the problem was lainos attempting to cater to the people that hated sacrament's moon, losing some of the haunting majesty of the original and making it less something that felt like an adventure on the precipice of armageddon. i think comatose does a much better job of staging encounters in the great outdoors, even if you do run face-first into some of htem.